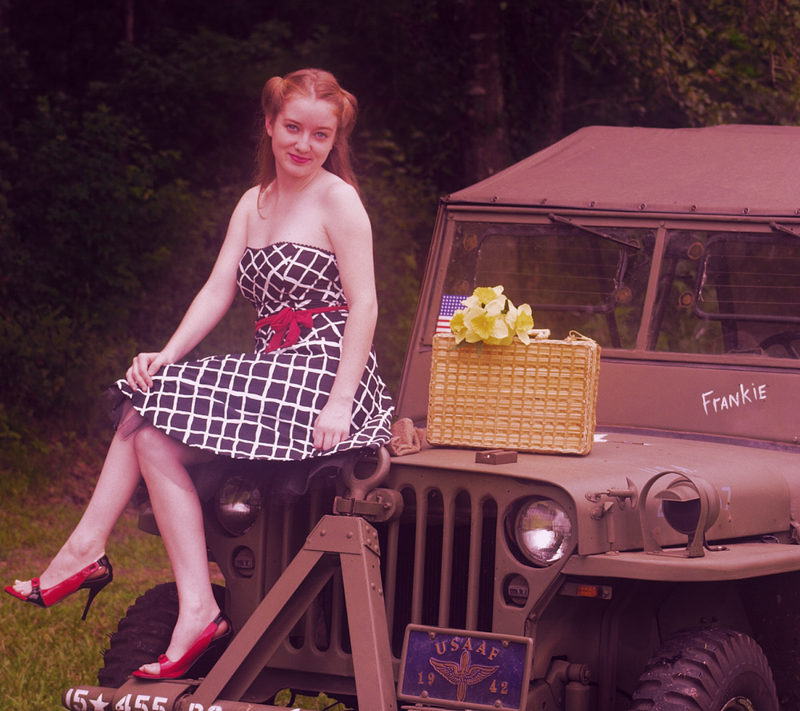 42FordGPW's Weblog | All about the 42 Ford GPW and related WW2 information. You gotta have the right tool! Sometimes that’s a book! Don’t be late for the picnic because you didn’t know how to work on your vehicle! Automotive Trouble Shooting For WW2 Vehicles, Volume 1 by The Ordnance School Spring is here! It’s time to dust off the old vehicles and get them in running order. Automotive Trouble Shooting For World War Two-Wheeled Vehicles, Volume 1, is a useful manual for anyone. Do you know what to do when the cranking motor will not crank the engine? Engine fails to start? No spark? Misfiring at high speeds or under full load? Problems with your battery or battery cables? Do you know how to adjust your breaker points? Inspect the coil? Do you know how to polarize the generator? Use a jumper wire to test your main light switch? Adjust your headlights? Troubleshoot your carburetor or fuel pump? All these and much more are covered. Put a copy in your truck for those little roadside emergencies! 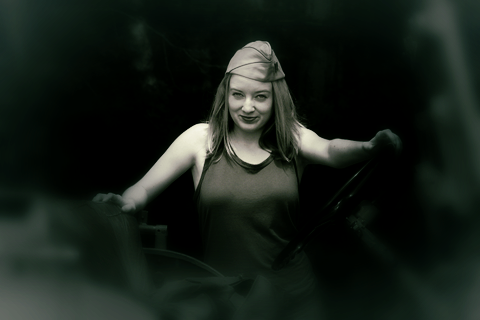 A gal likes to look good in her jeep, sometimes a t-shirt is the best option! 1941 Bantam BRC Women’s Dark T-ShirtWear a representation of the 1941 Bantam BRC, the first 1/4-ton used by the Army during WW2 in four great colors. Order by calling TOLL FREE (US) 877.809.1659 and giving the operator the product number below or by clicking on the link to order online. Fit: Standard Not too tight, not too loose. 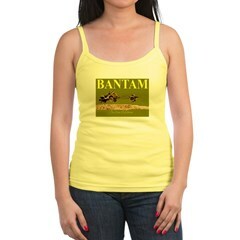 Our 100% cotton women’s tee is preshrunk, durable and guaranteed. For something different, you might be interested in BANTAM, FORD AND WILLYS-1/4-TON RECONNAISSANCE CARS . Wet or Dry Bath Oil Filters? 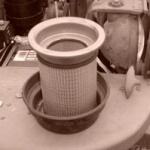 Oil bath filters are effective at removing dust and dirt from the air used by the engine. If the oil bath filter was really effective then why did the automotive industry give it up for most if not all applications? Was it just too messy or not green enough for today’s world? Which version you choose is not really all that important as both filters work very well under most situations. It’s a personal choice that has no visible impact on the jeep. It’s a great idea and can be environmentally friendly for all you tree huggers out there. Some of these folks that pooh pooh the dry air filter are the same ones that tell you to use silicone in the brakes. One modern idea is bad, the other isn’t? Neither one can be seen. Don’t try doing this with an oil bath filter! Your jeep fender will get an oil bath. Besides if I spill my dry air filter on the fender it doesn’t leave any trace. Trying doing that with a loaded cuppa oil. I’ve been running my dry air filter for 25 years and it works great. Why did I do it? Well, because I used to drive my jeep in sub-zero weather. You can’t have oil in the oil bath filter in sub-zero weather. You are supposed to drain it and run with it dry. How effective can that be? So I converted and haven’t looked back. The dry filter cartridge easily goes into the canister with the steel adapter. The adapter I use was made/sold by USM back in the early 1980s. It’s long out of production. A friend of mine made a limited production run of adapters made from plastic. These proved too expensive to sell for a reasonable price. But have no fear, some clever folks have figured out how to make an adapter for parts of your toilet! Yes, the doughnut ring can be used for something else besides a toilet. The added benefit is that these rings are pretty cheap compared to the steel or plastic adapters. People have spotted a lot of issues on my jeep over the years but no one spotted the dry air filter! Don’t tell the jeep police! Failure of the engine to operate is rarely caused by carburetor defects. If it is determined that the carburetor is responsible (that is, the ignition system is working properly and fuel is reaching the carburetor), the carburetor may be clogged or the float level may be improper. I knew it wasn’t likely the carb that was acting up! The only adjustments the second and third echelons can make on the carburetor are adjustments of the idling speed, the idling mixture, the choke control mechanism, and the accelerator pump seasonal adjustment. An improper adjustment should not prevent engine operation, but the proper adjustment is necessary for maximum operating efficiency. Examine the gasket. Replace it if there are any breaks or hardened sections. Be sure the new gasket does not obstruct any apertures in the housings. Draw down the cover screws evenly. Inspect all caps covering the check valves and jets. Tighten any of these that leak. Tighten the flange nuts or cap screws holding the carburetor to the manifold assembly. Remove fuel strainer from the carburetor or the cover from the strainer. Wash the strainer with cleaning fluid and a brush and dry it with compressed air. 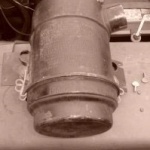 Examine strainer gasket, and replace if compressed or damaged. Now if you get fed up with your old Carter, you might consider purchasing a brand new Solex Carburetor . The Solex is a good carb to use but it doesn’t work the same as a Carter when it comes to cold starting and choke. In fact, the Solex doesn’t have a choke…it has a starter. You can also now find Joe’s Motor Pool Carter Carbs. This really is a beauty! Of course, I love my jeep but the Bantam was first. The first 1/4-ton developed for the US Army for WW2, now on a color Spaghetti Tank. 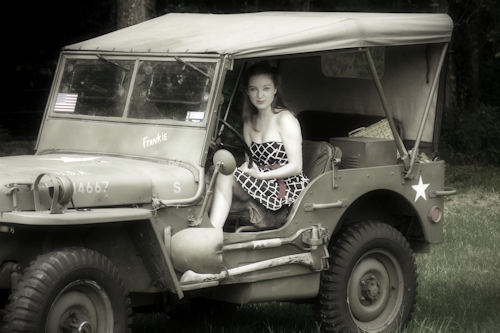 Great for your WW2 jeep loving wife or girlfriend. Available in FOUR colors: lemon, white, light blue and light pink. Purchase on line by clicking the link or by calling 877.809.1659 and giving the operator the product number 140095412. Check out The Pinup Girls. 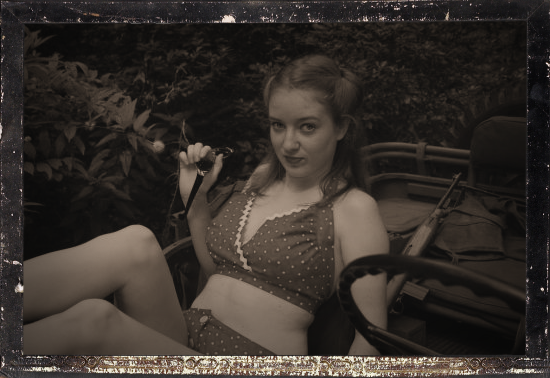 It has several beautiful ladies from the WW2 era along with some of their stats. The site is called the Skylighters. This was a group of men that operated searchlights during WW2. The unit was the 225th AAA Searchlight Battalion. Anyway, there is a lot more to this site then pinup girls. you should check them by starting with the girls! If you like pinups then you also might be interested in 1000 Pin-Up Girls (25th Anniversary Special Edtn) . Need to tow a gun? Get a jeep! At left is a close-up photo of the 37mm Anti-Tank Gun carriage. The original carriage did not have a goose-neck ring so the gun would dig into the ground (on rough terrain). Notice how there are TWO different rings. The original short and straight ring and then the ring actually being used by the Bantam. Note the rear gas cap on this early jeep. See more pictures about the Bantam (and the other pre-standardized jeeps) available in BANTAM, FORD AND WILLYS-1/4-TON RECONNAISSANCE CARS by Robert Notman. Printed: 170 pages, 8.5″ x 11″, perfect binding, black and white interior ink. Ships worldwide. Available at bookstores and Amazon.com.